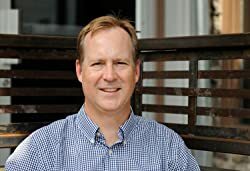 Chris Chamberlain is a food, drink and travel writer based in Nashville, Tennessee, where he has lived his entire life except for four years in California where he studied liberal arts at Stanford University and learned how to manipulate chopsticks. He is a regular writer for the Nashville Scene and their "Bites" food blog. He is also the Southern correspondent for FoodRepublic.com, a national website dedicated to "Drinking, Eating, and Living the Way a Man Should." Please enter your email address and click the Follow button to follow Chris Chamberlain!